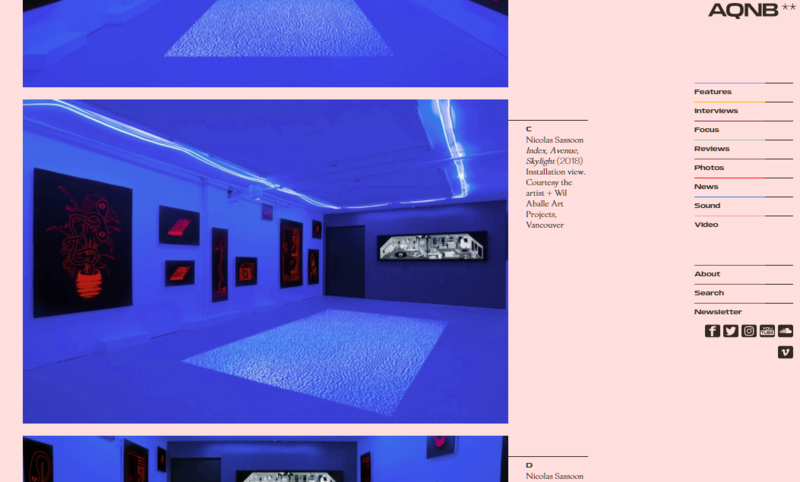 Nicolas Sassoon presented solo exhibition Index, Avenue, Skylight at Vancouver’s WAAP (Wil Aballe Art Projects) which opened January 25 and is running to March 3. Through the use of laser prints mounted on high density foam, fluorescent pigments and 8K animation, the French born, Vancouver-based artist collages memories from three underground venues mentioned in the title. Contributing to the unique cultural landscape of the city, the exhibition pays homage to these artist-run spaces where “parties, dancing, friendships and excess” could take place.